I love Marcus Buckingham’s take on the motivational power of working to your strengths. Marcus is the author of StandOut 2.0: Assess Your Strengths, Find Your Edge, Win at Work, a revolutionary book which urges people to place more focus on maximising their natural talents than the previous focus placed on overcoming weaknesses. Other experts in the realm of positive psychology such as Mihály Csikszentmihályi call this flow, also known as being in the zone. Achieving this state of flow and working to your strengths is where the magic is. 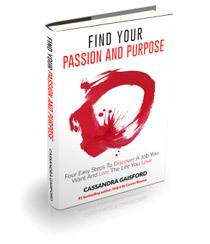 It’s your point of passion and can lead you to the business you were born to create. I love researching and writing. I look forward to sitting down at my computer, or grabbing a piece of paper and jotting down ideas and inspiration. When I’m using these skills I’m in the zone. I love sharing knowledge too. Combine these activities and I’m delighted. My partner says I’m a compulsive writer. He also says I obsessively collect positivity. I have hundreds of notebooks and journals. Every day I write. I get a wee bit scratchy when I can’t jot down an insight or enthusiasm. I’m not a formally trained writer. I haven’t been to journalism school or completed an English Literature degree. Nevertheless, for over five years I wrote a weekly column for one of New Zealand’s largest newspapers, The Dompost. I approached them; they didn’t come looking for me. I was an unknown with no publishing experience. I pitched my idea, they liked it and the rest is history. As other budding entrepreneurs have highlighted in this book, to build trust and gain experience, I offered to write the column for free. Later as my confidence, skill and experience grew I approached The New Zealand Herald, the largest newspaper in New Zealand, and became a careers expert for them. But this time as a professional freelance writer who commanded a fee. I also love photography, and I sold photographs to The New Zealand Herald to go with some of the stories I pitched. Again, I am a self-taught photographer. As I write this I’m in a state of flow—having set the timer, I just wrote the above in 30 minutes. It felt like three! Now, having just turned 50, using the natural knacks and talents that strengthen me, I’ve devoted my life to creating my own publishing company: Blue Giraffe Publishing. By doing this I also honor my life purpose—to be of service, empower and inspire others and create beauty. Having fun and being playful and child-like are also values and strengths of mine, which is why I commissioned my six-year-old niece to draw a blue giraffe for my logo! I also believe in the power of love and find purpose writing love stories under my pen name Mollie Mathews. As retired broadcaster John Hawkesby once said, “People take romance for granted and you ought not to.” Visit my website if you’re curious—www.molliemathews.com. I’m sharing my experience in the knowledge and belief that if you follow your bliss, and have the courage to put your work out there, commit to continual improvement, persist and persevere, you can overcome any perceived experience gaps too. Many people mistakenly believe that unless you have a piece of paper, such as a degree, you don’t have any saleable skills. This is so untrue. The world is full of people who have achieved great things without formal training. Did you know that Tony Robbins didn’t qualify as a coach? Sometimes the best course of study is to teach yourself. Starting a business will give you loads of opportunities to do just that. Before you set out though, it’s a good idea to do an inventory of your skills. You can learn more about valuing your natural knacks and talents and find an extensive list of ways to identify your skills, including a motivated skills inventory, in Mid-Life Career Rescue: What Makes You Happy. There is also a number of great resources online, some of which I’ve summarized below. 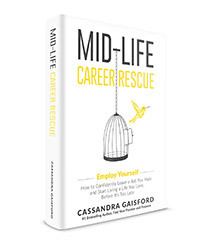 As you’ll know if you’ve read my other books in the Mid-Life series, I believe the Myers Briggs Personality Indicator and astrology, along with other spiritual and creative approaches, can also help confirm areas of strength. What goddess are you? You may never have thought about it! Adopt a spirit of curiosity and discover what your goddess type says about your best-fit career, relationships, and health. Complete the comprehensive questionnaire developed by educational psychologist Sharon Turnball by navigating to—www.goddessgift.com/goddess_quiz. Sharon notes that in his book, The Spontaneous Fulfillment of Desire, Deepak Chopra writes that within each of us is the seed of a god/goddess waiting to come to fruition—and our archetype is the cosmic blueprint of our seed. Discover your primary archetype and bring it to life, he says, and you speed up the process of revealing and fulfilling your deepest desires. The following questionnaires, summarized below, may also be of interest: The VIA Survey of Character Strengths; Flow, and Marcus Buckingham’s StandOut strengths assessment. You’ll have to create an account, but it doesn’t take long and you’ll be able to gain access to a wide range of questionnaires. VIA Survey of Character Strengths takes around 20 minutes to complete and consists of 250 questions. After completing the character strengths questionnaire, you will gain a personal ranking of your character strengths in 24 key areas. My top character strengths were interpreted as hope, optimism, and future-mindedness. My second strength was spirituality, sense of purpose and faith. I found this really interesting and confirmation of what has inspired me to work as a counselor, holistic psychologist, and intuitive author. My third top strength was said to be, zest, enthusiasm and energy. People who know me well and those who read my books would say they agree. I think it is because I am in the passion zone! Now that I am recreating my business and focusing on my publishing enterprises completing this questionnaire has strengthened my resolve to focus on creative writing and the completion of my book Mona Lisa’s Secret. Subscribe to my newsletters if you’d like to know when the book will be released. I wonder what completing this test may awaken in you? How can I find out what I’m good at? How can I be sure that I will enjoy it? How can I be sure that I won’t fail? To answer these questions, the past is often a good predictor of the future. Often we just need reminding of the times and circumstances in our lives when we felt inspired or energized by something, and of the times when our skills just seemed to flow. Such times can provide clues to our passions and unique strengths and talents. If you purchase Marcus Buckingham’s book, StandOut 2.0: Assess Your Strengths, Find Your Edge, Win at Work, you can access his StandOut strengths assessment tool. http://amzn.to/20PMrl9. I like the way that he groups core strengths into themes such as advisor, connector, creator, innovator, equalizer, influencer and pioneer, and others. Knowing where your strengths lie in these areas could help you decide how best to employ your talents. I also love the comprehensive report that is generated. While the StandOut strengths assessment is focused on employees and people in the workplace the insights into the way you do things is still valid regardless of where you deploy your skills. 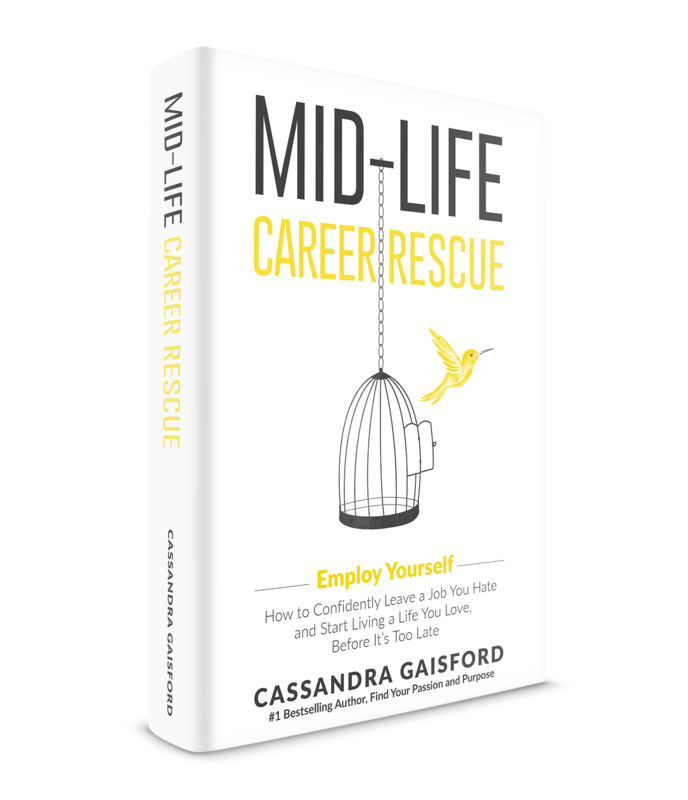 I’ve always been a big fan of this tool, and I explained why in some depth in Mid-Life Career Rescue: What Makes You Happy. When going into business, knowing your personality type and preferences can help you leverage off your strengths, and contract in or employ others with complementary skills. How extroverted are you? 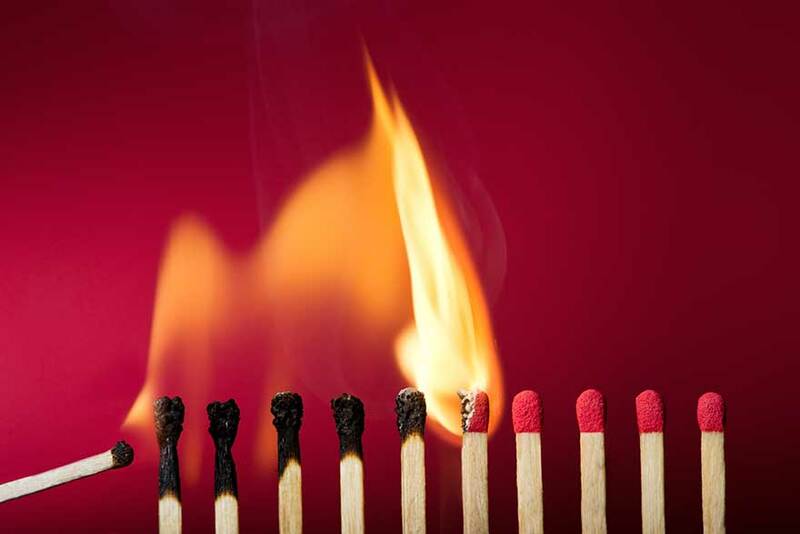 Do you need the stimulation of being with others to fuel your energy? I know many people who have gone out on their own only to wither and wilt with too much time alone. The opposite is also true. Know thy self, and to thy self be true. Personality tests and ‘types’ aren’t cast in stone but are a useful way of increasing your self-awareness of how you naturally and instinctively tend to think and work. 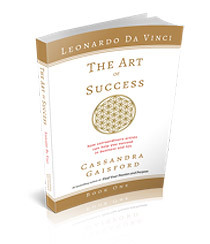 You can then build on that base to help you with your ongoing professional and personal development. As Neuropsychologist, Katherine Benziger says, “People are happiest, healthiest and most effective when developing, using and being rewarded for using their natural gifts.” This is very true. But it’s also incredibly fulfilling nurturing your Achilles heel and mastering new skills and abilities. If we keep doing what we’ve always done we’ll always get what we’ve always got, right? Be sure not to ignore areas in which you know you have a weakness and which, if left unaddressed, may hold you back or derail your aspirations. Try all or just a few of these questionnaires now and see what awakens in you. Not all wisdom and self-knowledge is derived from man-made analytical questionnaires and tick-box exercises. Inject some balance into your quest to understand your Self better and consider putting your faith in the stars. “I liked the idea that astrology believes we all are special and have unique gifts. It was at that moment that my love of astrology was born,” says my friend and expert astrologer Marianne O’Hagan. 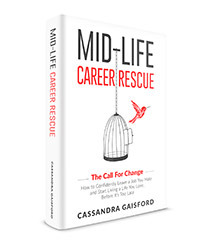 In Mid-Life Career Rescue: What Makes You Happy, I shared her story and also noted that so many people put their faith in psychometric tests, many of which are resounding failures in predicting job satisfaction, happiness or superior performance. Whether you’re a believer or a non-believer, taking a peek at your astrological profile can boost awareness, confirm areas of potential strength, fuel belief and instill confidence. I’m a Libra in Western astrology and a Snake in Chinese astrology. It’s true when they say that Libran’s love harmony, balance and beauty, for instance. And it’s also true when Joseph Polansky wrote in his book Your Personal Horoscope 2015, that my interest in spiritual healing would increase. Google ‘best careers’ for Snakes and I’m told to avoid careers where I have to work too hard. It may surprise you—I can be a bit lazy. ‘Working hard’ to me is doing something I dislike, working with people I don’t respect and who are dishonest. Working hard is not marching to my own beat. But when I’m working in the passion zone, fulfilling my purpose, now that’s a different story. “If you don’t pay attention to what you love, you could overlook your greatest gifts! That love is the sure-fire indicator of hidden gifts, and it is the only way to find them. Pay attention to your moments of joy. Write them down, record them visually, a photo, video or some other reminder of the things you love to do. Summarize the strengths and skills you used. How could these manifest in a new business or be used to employ yourself? “This is a big question and for many people, it’s a hard one to answer. But if you know what makes you happy in life and work, you are ahead of the game. If you plan on getting into photography don’t ask yourself where is the money and go after something you don’t like or care about. Ask yourself what is it about photography that inspires you? It’s much more rewarding to take the pictures you love every day. Do you like the outdoors, the sea, the mountains, urban environments, taking care of people, fashion, styling, children, families, working in a studio, vintage, travel or something else? Think about what you love doing on the weekends, is it gathering together with family and friends, walking your dog, going to the beach, cooking food, watching music, being out and about or being quiet at home. Is there a unique way you can bring more of what you love into your photography? If you are currently doing headshots and find it uninspiring but love all things vintage and retro is there a way you can transition into a new business and leave the mundane behind and follow your heart. Think about how you can bring elements of what you love outside of photography into your photography business, let me give you an example. Can you incorporate what makes you happy into your business? For the first 12 years of my photography career, I worked with magazines shooting travel, portraiture and fashion and loved all of them equally. I was so grateful to have the chance to do so many different types of photography and to work with magazines. One day when I started feeling sick about going to the airport (believe it or not) I decided it was time to change. I wanted to work more in Paris, so I decided to create my own photography business. I thought about all the things I loved. I adored shooting fashion, I loved the whole process, the clothes, the hair and make-up, the styling and working with a professional model and a team. I also loved portraiture. Being with people came easy to me and I loved the portrait component of travel photography and trying to get a portrait on the run or in difficult circumstances. Working with magazines also taught me to get the shot even under difficult circumstances and years of taking images for books I had had the chance to hone my skills in different light and cultural situations. And of course, I loved travel and always will but at that point I had needed a break to stay closer to home. I decided to bring all these elements together to create a high-end Portrait and Personal Branding business in Paris. I formulated my own ‘recipe,’ that had all the elements that makes me bound out of bed everyday with love in my heart. I work with a hair and make-up artist, so the portraits have a ‘finished magazine look’. I coach the clients so they have the best possible look in the image and most of them love fashion and we shoot often on the streets of Paris so I have the chance to indulge in some travel photography with a beautiful subject in the foreground. Ask yourself is there another way of doing what you do, can you bring other elements into it to lift your photography and make it truly unique? Do you love the big outdoors or the beach? What if all your portraits of photography had that as an element? Do you love vintage and retro? Could that be a theme that runs through all your photography? Do you love dogs? What if you combined your love of the outdoors, dogs and fashion to create a unique experience for glamorous dog owners? Write down all your loves and see if you could re-formulate what you are doing or start something fresh from scratch with a unique angle that no-one else is doing, or not in the way you would like to do it, so you will be your ONLY competitor. Carla Coulson is a great role model and an excellent ambassador for her brand. She left a job she hated to find her passion, and while in Italy found love in a darkroom. She loves sharing her passion and talent for capturing beautiful moments with others too. She’s recently expanded her photography business to include personal mentoring for photographers who want to elevate their skill-set deeper. Carla is also a great example of someone who focuses on connecting with people, rather than ‘selling’, by communicating her passion across various social media platforms, including Instagram, Facebook, Twitter and Pinterest. Her newsletters are fantastic. I’d been following her for some time, ever since I purchased her book, Italian Joy. One day she sent out a newsletter inviting people to enjoy her for a workshop in Italy. I didn’t hesitate. I shot back a reply straight away, “I’m in!” I had no idea where I would find the money at the time. But I did. I was lucky enough to travel with her throughout Puglia in 2014, soaking up her passion and photography skills. And I LOVED every moment. I’ve made life-long friends with other people who also chased Carla’s dream. 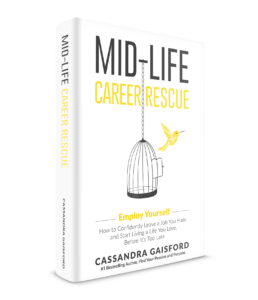 Learn more about Carla and the many wonderful things she does here http://carlacoulson.com. Identify and record any lessons you can learn from Carla’s experience that you could apply to starting, or marketing, your own business. Summarize some possible action steps.